I'm so thrilled to have a special guest here today - author Amelia Trompf who is launching her book Who is Fitzy Fox? this month with a blog hop, and we are her last stop! You probably saw my review yesterday, and today Amelia's talking all about the importance of reading to our kids. A couple of unexpected things have happened to me since I had my son. One is that I get ridiculously excited when I go past a yellow digger and absolutely beside myself when I see a really big crane, even when it’s just me in the car. The second is I am overjoyed when the toilet roll is finished because I have yet another cardboard cylinder to add to the ‘making box’. Actually the toilet roll excitement is relatively new and has started since I decided to challenge myself to get more ‘crafty’. It was a few months ago ‘doing’ stories before my son’s bedtime, sneakily skipping a few pages (like I used to do when I babysat as a university student), it occurred to me that going through the motions of reading was not a habit I wanted to get into, especially as I was about to have my first book published! So to coincide with my book’s release, I set myself a new challenge. The plan: once a week with my son, create a simple craft linked to a picture book either recently borrowed from the library or an old favourite taken from the shelf. 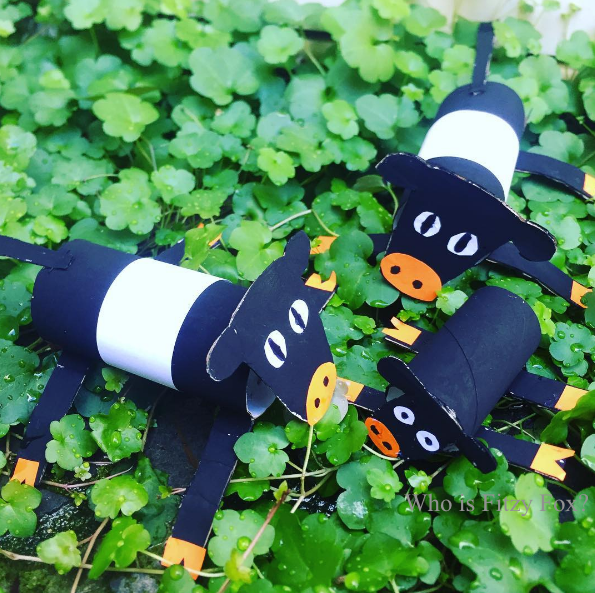 I have started to document my challenge in a blog called Making Time with Amelia & Fitzy, which combines a passion for education and picture books! At least then, at the end of the day when I can’t find the strength to get excited by the crazy antics of Thomas, James and Percy, I can feel better knowing that I’ve done one literacy-rich activity at home during the week; something I so enthusiastically preached about at parent teacher interviews before I had children (cringe). While I laugh at myself as a young teacher telling busy parents in no uncertain terms they really should be still reading aloud to their children and doing more literacy-based activities at home, the research on the benefits of reading aloud to children is staggering. Reading aloud to children not only promotes language development and a love of reading but it also helps develop social skills as well as the child’s understanding of the world around them. A 2015 study carried out by Scholastic and YouGov analysed the reading behaviours and attitudes of children in Australia aged 6–17 years. The study revealed that less than 50% of kids aged between 6 and 8 are being read aloud to at home 5–7 days a week. It also found that reading aloud to children is actually one of the main factors that increases children’s reading frequency and that the earlier you start reading to children, the better. These studies would suggest we should be reading aloud to our kids as early in life as possible and as frequently as possible. Additionally, I conclude from my own personal and professional anecdotal observations, that the more invested you are in something, the more you’ll care about it. With research and personal experience in mind, my hope is that facilitating fun craft picture book related activities on a weekly basis will help my son and other children become ‘invested’ in stories and help them to make positive connections with books. By reenacting a scene from Lachie Hume’s Clancy the Courageous Cow using cows made out of toilet rolls or making a fox mask and pretending to be the fox from Pat Hutchin’s Rosie’s Walk, my son will have lived an experience and thus feel more invested in the reading process and in the wonderful world of literature. This is what the amazing educators do every day in schools, daycare centres, kindergartens and libraries – they connect children emotionally to books, thereby starting the process of developing lifelong reading skills. My personal hope is to have a positive influence on children’s lifelong reading habits, whilst having a bit of fun along the way. Incidentally, if you are going to create your own making box, be sure to tell whoever else lives in your house that it’s not the recycling box and, if you are making pikelets, don’t browse Pinterest for craft ideas because you’ll end up with burnt pikelets and hungry children who are too cross to do craft with you anyway! Title: Who is Fitzy Fox? Here you will find loads of Fitzy Fox activities from crafts, to cooking, to colouring in. There is even a place where you can upload your own artwork to be displayed on the Fitzy Fox website. Email Amelia (ameliatrompf@gmail.com) a question and she will respond via video. Teachers, head here for Who is Fitzy Fox? English and Maths lessons and the Social and Emotional Learning Package. You can also book a school visit! Amelia Trompf is a Melbourne-based children’s author, who is also a trained primary school and language teacher. 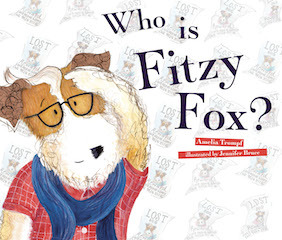 Amelia’s debut picture book Who is Fitzy Fox? is a thoughtful but funny story about the quest for identity and unconditional love. 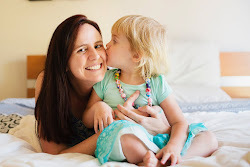 Amelia is passionate about literacy and to co-inside with her new book she has created a blog titled Making Time with Amelia & Fitzy, which is dedicated to helping parents create literacy rich activities at home. Here Amelia talks about the importance of reading with children and the inspiration behind her new blog. Lovely to hear about a new blog, a new author and a new book! I'm pleased to say that we are in the 50% that do read everyday to our kids - mine are 4 and 6, and even though my 6 year old can read to herself now, that doesn't mean I read aloud to her any less. We love crafting with the kids too. Crafts that tie in with popular books are very popular on Pinterest - you should totally write up your activities! Do you have any suggestion to read every day to our kids? Sometimes with the busy day, I feel too tired and don't want to do anymore, so I didn't read for my children, this makes me feel terrible.